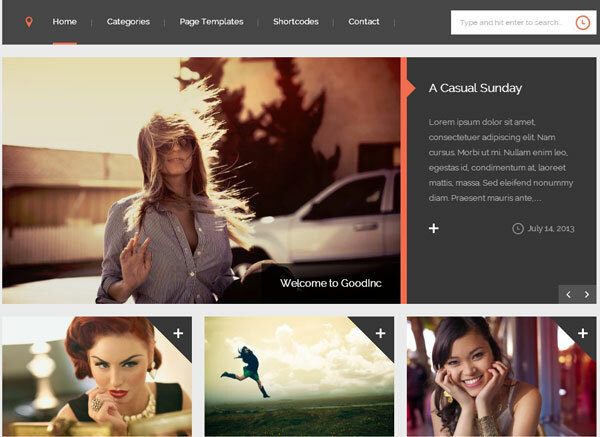 This modern and unique responsive blogging theme is truly one of a kind. From the stunning homepage slider and carousel, to the thoughtful page templates for authors, archives, site map and more. 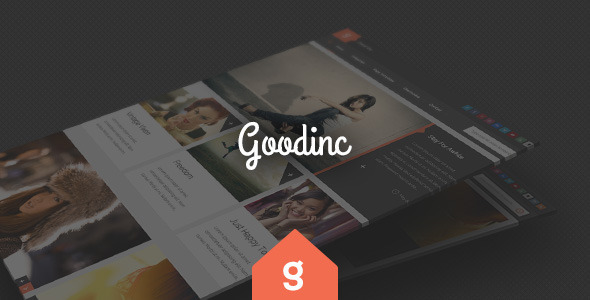 GoodInc is sure to captivate you and your readers.GoodInc is full of features aimed to please like the awesome homepage and archive pagination options. You can choose from traditional pagination, a Load More button, or infinite scroll. Since each post format has it’s own styling (standard, image, gallery, video, audio, aside, quote, link, and even status) your homepage and archive will look great no matter which option you choose. You can also set layouts by post, so if you want a full-width video post or an audio post with a left sidebar or one on the right it’s no problem at all. Another great feature is the Taqyeem Ratings plugin so you can add your own percentage, point, heart, thumbs up, or star ratings for anything you want.